MOSCOW, December 5. /TASS/. Over 50 warships and vessels are under construction in 2017 for the Russian Navy, Defense Minister Sergei Shoigu said on Tuesday. "Works are underway in 2017 as part of 35 state contracts to create nine lead and build 44 combat ships and support vessels," Shoigu said at a conference call. 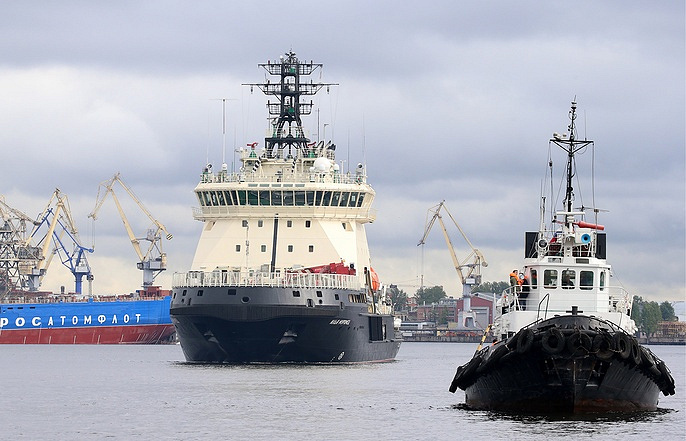 Russia’s United Shipbuilding Corporation has already delivered the Project 20380 corvette Sovershenny to the Pacific Fleet, the Project 21180 icebreaker Ilya Muromets to the Northern Fleet and the Project 22870 SB-739 rescue and tug boat to the Black Sea Fleet, he said. "The construction of warships and vessels under this year’s delivery program has been completed and their trials are underway. We’ll discuss today what is being done for their quickest acceptance for service in the Navy," the defense minister said.